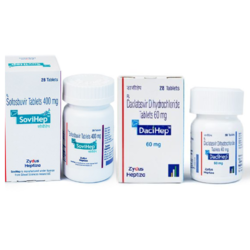 Offering you a complete choice of products which include myhep, sovihep and dacihep, cimivir tablet and sofovir. 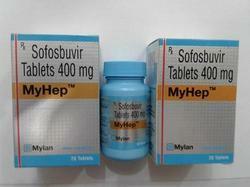 NOTE :- Myhep Is A Prescription Drug And Should Be Used Under Proper Medical Guidance And Advice. Do Not Share The Medicine With Others, Since They May Be Suffering From A Problem That Is Not Effectively Treated By This Drug. 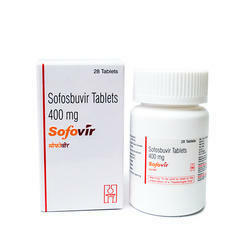 Note :- Sofovir Is A Prescription Drug And Should Be Used Under Proper Medical Guidance And Advice. Do Not Share The Medicine With Others, Since They May Be Suffering From A Problem That Is Not Effectively Treated By This Drug. 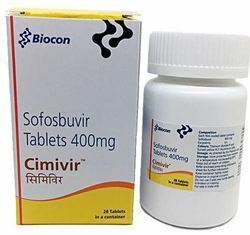 Looking for NEW SOFOSBUVIR 400MG ?